The finance ministry is mulling on a couple of measures like increasing the savings limit under Section 80C of the Income Tax Act, providing tax benefits to pensioners and lowering of interest rates on housing loans. A day after the Narendra Modi government played a masterstroke to woo the upper castes by announcing 10 per cent reservation in jobs, the government could soon offer more surprises, especially for the middle class. While the announcement of 10 per cent reservation for the General Category covers all economically weaker sections, the government is likely to come up with more tax exemption measures in the upcoming interim Budget 2019. 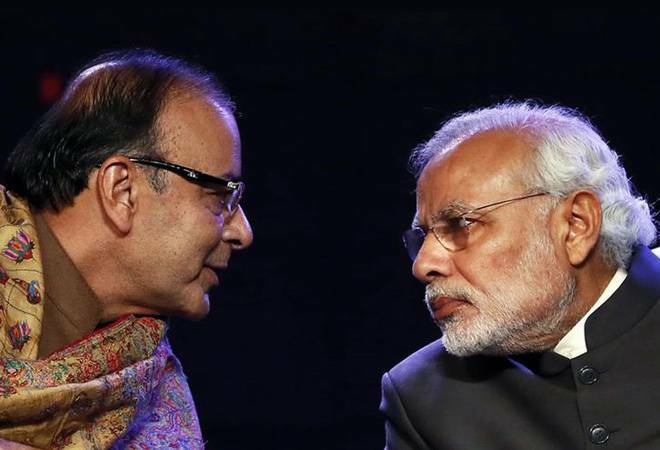 Notably, the Interim Budget 2019 will be presented by Union Finance Minister Arun Jaitley in about three weeks. The finance ministry is mulling on a couple of measures like increasing the savings limit under Section 80C of the Income Tax Act, providing tax benefits to pensioners and lowering of interest rates on housing loans. If announced, all these measures could directly benefit the middle class, which could give an edge to the government that has fallen short of its 2014 poll promises on jobs and other benefits for the middle class. Some reports also say that the government could also announce measures on the macro front like reduction in the customs duty. This will benefit consumers as well as businesses. Discussions on these measures are in final stages. In a surprise announcement, the Union Cabinet on Monday declared 10 per cent reservation for economically weaker upper castes. The government tabled the bill in the Lok Sabha on Tuesday. To provide reservation for the upper castes, the government has to amend the Article 15 and 16 of the Constitution. The proposed quota bill will require the government to amend the constitution, for which it needs the support of the two-third members in both the Houses. Those who have been excluded from the reservation in general category are those who own more than 5-acre land; residential plot of more than 1,000 sq feet; plot more than 100 sq yard in a notified municipality; or plot more than 200 yards in non-notified areas.